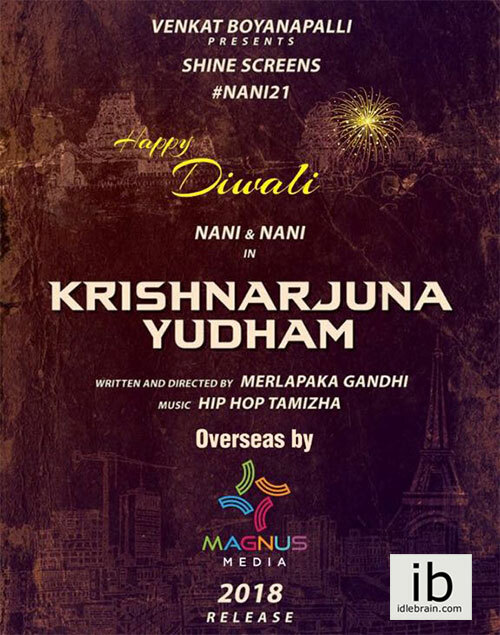 Natura Star Nani who created history in Overseas by delivering back to back million dollar film is all set to repeat the history with much excited film ‘Krishnarjuna Yudham’. The film is all set for USA Premieres on today April 11th, WEDNESDAY starting from 3 PM local timings. This is the first time in Nani’s career a huge number of premier shows confirmed at 175 Locations in USA. The premier shows are starting from 3 PM onwards on Today, April 11th – WEDNESDAY. All drives and keys are delivered to all the theaters and all set to go for an entertainment. Don’t miss the chance to enjoy this comedy entertainer with Free Movie Ticket by using Movie Pass Offers and $ 5 by using T – Mobile (ATOM) app. The ticket pricing is affordable for only $12 in almost all locations. Enjoy this commercial entertainer in theaters on the big screen with reasonable ticket prices of $12 and stay away from Piracy. Press Note Issued By Magnus Media.